Although 1 January does not traditionally mark the new year for Thais, major celebrations all over the country do take place and is a great time for tourists to experience culture and traditional events and the general festive atmosphere. 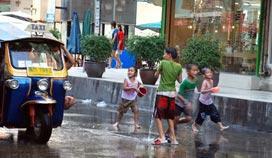 Thais adore children and consider them the most important part of their society and future strength of the nation. On teacher's day children show teachers what a big role they play in their development. Teachers are seen as a guiding light and children are taught to appreciate and respect them and express their gratitude. 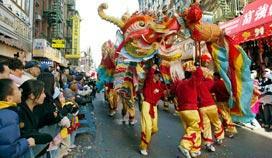 Tourists flocking from China and the west alike during Chinese New Year. The sounds of firecrackers can be heard all over the place, dragon dancers entertain with outrageous costumes and China Town in Bangkok is a bee hive of activity. 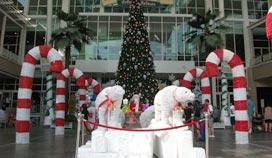 This eventful period lasts 3 days and is based on the Chinese lunar calendar. This religious Buddhist day reflects on the occasion when 1,250 of Lord Buddha's adherents spontaneously congregated to hear him give a sermon. Merit making ceremonies are held during the day at temples throughout the country. From Chinese new year to Thai new year, the fun just never stops. This festive season starts around mid April and lasts for 3 days. 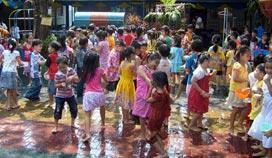 The Thai new year which is also known as the water festival (Songkran) sees everyone out on the street, on the back of pick-up trucks and even on the roofs of houses throwing each other with water. 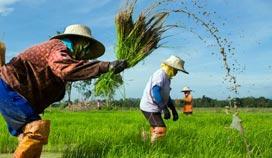 National Labour Day recognizes the important role of Thai labour workers and honors their contribution to the country's development. This public holiday on the 6th May commemorate the coronation of the ruling king, His Majesty King Bhumibol, the world's longest reining monarch. 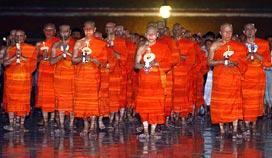 This is the holiest of all Buddhist religious days, marking the birth, enlightenment, and death of Lord Buddha. 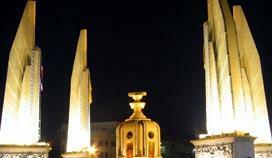 Her Majesty The Queen Sirikit's birthday replaced the previous mother's day date to 12 August. 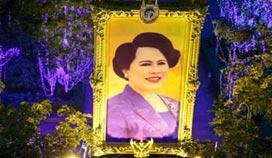 On this day Thai's wear purple shirts symbolizing the day of the week on which the queen was born. The first November full moon is "Loy Krathong" and is the most beautiful and touching festival on the Thai calender. Loy is "to float" and Krathong is a "leaf cup" made of banana leaf. Loy Krathong is therefore the floating of lights in a leaf cup. It marks the end of the rainy season and is a time of rejoicing for the weather is fair. 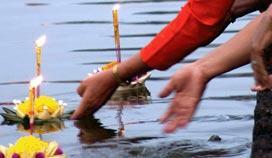 The floating kratongs symbolizes appreciation of the gits from nature. 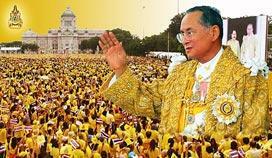 Fathers Day - His Majesty King Bhumibol Adulyadej the Great was born on December 5, 1927. His Majesty is the ninth King of the Chakri Dynasty and the longest reigning monarch in the history of Thailand and currently the world's longest reigning monarch. His Majesty is recognized as the heart and soul of the Thai nation, loved and respected and his birthday marks father's day in Thailand.